LAHORE, Pakistan (AP) — A Pakistani court on Saturday said it would allow the country’s anti-graft body to hold opposition leader Shahbaz Sharif for 10 days to interrogate him about alleged links to a multi-million dollar housing scam, his party said. Maryam Aurangzeb, spokeswoman for the Pakistan Muslim League party, said the National Accountability Bureau arrested Sharif for political reasons and that their leader was not involved in corruption. 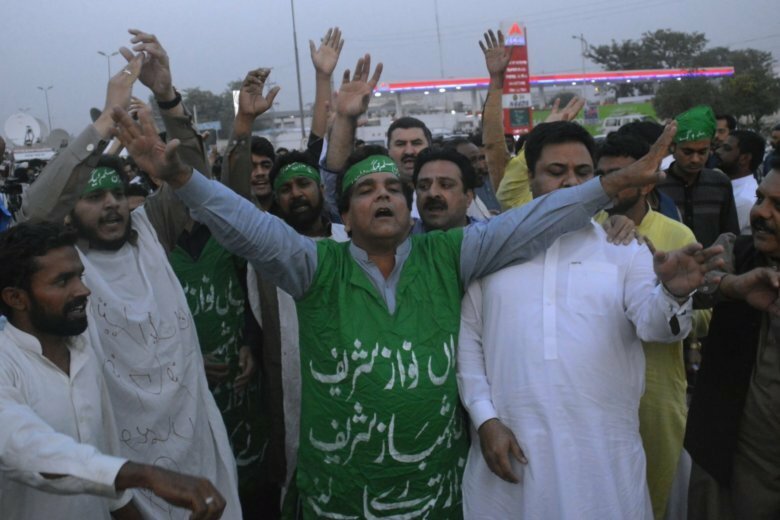 Sharif’s angry supporters and police briefly clashed when he was brought to court in an armored vehicle. The decision comes a day after authorities arrested Sharif in the city of Lahore. Sharif is opposition leader in the lower house of parliament. He is accused of abuse of power during his tenure as the chief minister of Punjab from 2013-2018 by influencing authorities to award contracts for a housing program to a company with which he had political connections. Sharif is the younger brother of former premier Nawaz Sharif, who was disqualified from his position in 2017 over corruption charges.